As the impacts of climate change become more evident, efforts are being made to develop clean technologies, find sustainable ways to produce energy and reduce the environmental impact of industry while growing the economy. Canada is positioning itself to take a leadership role in this large and growing global market. At CMC Research Institutes, our mission is to support the advancement of technologies to reduce carbon emissions in large-scale industry. We move in the space between bench-scale research and commercialization, helping innovators scale-up and prove their carbon capture, conversion and storage technologies. Our goal is to move technologies closer to market, thereby growing the Canadian economy, increasing Canada’s competitiveness in world markets, and creating a low carbon future. We provide facilities to field test, develop and demonstrate early-stage technologies. We offer access to scientists, engineers and technologists who work with clients to solve design and process challenges encountered as technologies are scaled up. CMC Research Institutes operates two research institutes. The Containment and Monitoring Institute is focused on measurement, monitoring and verification technologies for secure containment of CO2 and other subsurface fluids. 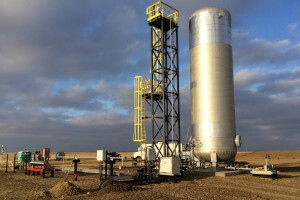 The Carbon Capture and Conversion Institute concentrates on accelerating the development of technologies to cost effectively capture carbon and, once captured, convert it to commercially valuable products. Both institutes offer researchers unique facilities and access to experts who can assist solving design, engineering and other challenges. Today’s technology challenges are complex. Collaboration is critical to the technology development process. CMCRI is connected to a national and international network of researchers on the front lines of scientific and technological progress. We draw on this network of experts to help clients solve technical challenges and identify solutions that will lead to commercial success.